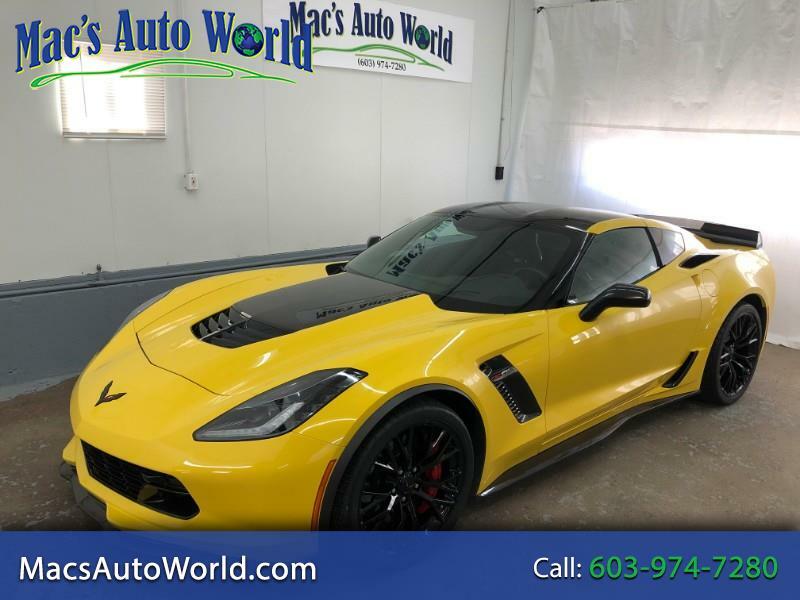 2017 Corvette Z-06 Coupe Racing Yellow Tintcoat W/ Jet black interior, 7 speed manual trans.W/ active rev matching, LT4 6.2L Supercharged engine , WOW what a car !!!! Factory bumper to bumper Warranty till 7-12-2020 or 36000 miles and power train warranty thru 2022/60k...This is a very well optioned corvette, 2LZ @ $3565.00 - Z07 ultimate performance package $7995.00 - carbon fiber visible package $3995.00 - competition sport seats $1995.00 - visible carbon fiber hood insert $1995.00 - removable roof panel, visible carbon fiber with body color surround $1995.00 - performance data and video recorder with navigation $995.00 - racing yellow tintcoat $995.00 - black aluminum wheels $495.00 - cargo mat $205.00 - premium floor mats $165.00 - battery protection package $100.00 - carbon flash painted mirrors $100.00.....Total MSRP $106,835 ...This one is not your typical stripped no option Z-06...Fully serviced and ready for you to enjoy ownership of america's only supercar If you looking for Z-06 Corvette you need to see this one !! !